Beekeeping has gotten a lot of media attention in recent years and interest in beekeeping has increased. In the last 5-10 years there has been an influx of new beekeepers, many with no previous experience in agriculture or animal husbandry. A lack experience caring for animals with productivity as a goal can be a stumbling block, but conscious observation, focus and planning are all tools that we as humans have to overcome inexperience. In the last several hundred years many humans have become disconnected from agriculture. Today most people in the US at least take food and its production for granted. 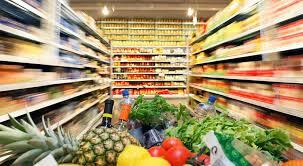 When low on food stores all that most have to do is go to a grocery. This is an illusion. Most have never thought or cared about the preparation, months in advance, the physical WORK, the pests and weather conditions that threaten, or any of the other trials and tribulations faced by individual producers to PUT THEIR FOOD in the grocery. That food would NOT be there if SOMEBODY did not formulate a goal based plan. Becoming an Aparian is an important step towards a better understanding of food production and Agriculture in general. If nothing else it will give insight into all of the worries of a producer. Do you already have bees? if SO WHY did you get em? if NOT why do you want em? Do you have a fundamental understanding of biology? Have you had any animal husbandry experience before? Have you thought about your beekeeping goals? If the answer to any of the previous questions is NO don’t sweat it. These answers are important for setting the stage as a beekeeper because your methods should be determined by your goals. People get into beekeeping for many different reasons. Far too often the GOAL of a prospective beekeeper is “to get bees“. It’s a start, but once they are in the box THEN WHAT? Having clear goals beyond “bees in a box” will make your life a lot easier. If you haven’t thought about these things SURPRISE, agriculture is about more than physical labor. I had bees for a several years before I began to think in this way. Because people have been led to believe that Apis mellifera is in critical danger as a species. No matter what your reason for getting started, it is important to plan and understanding WHY you are utilizing specific methods to reach your stated GOALS. You wear different clothing depending on weather conditions and planned activities, because your goal is comfort. Your goals as a beekeeper if considered in advance will guide you to proper methods of production and make beekeeping rewarding. It’s OK for plans to change over time…. But ya gotta have a PLAN of some sort as a framework for decision making, otherwise you will never find success, because you won’t be sure what success looks like. You’ll be on facebook or in a forum asking vague questions like why did my bees die. Part 2 will be up and available soon so be looking for it. Let’s talk about specific GOALS leading to beekeeping METHODS. I will go into why swarm trapping became one of my goals. What is YOUR goal in beekeeping? Do you know what success looks like for YOUR beekeeping operation? Do you want bees bad enough to throw more than MONEY into this undertaking? Questions / Comments? Don’t be a Chump Cricket! You Read this far want to get an e-mail about future posts? This entry was posted in Methods, Posts and tagged bait hive, bee, treatment free beekeeping, treatment-free methods. Bookmark the permalink. 3. Swarm trapping and the anticipation of what you will find when checking your traps. 4. Its fun working with them and seeing them progress & learning from mistakes. 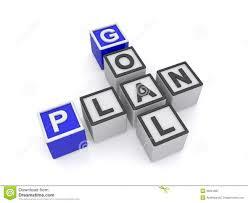 Good goals… As time goes on your order may change and you may add or drop a goal from time to time, but the main thing is having a target to shoot for. Keep me posted on how it’s going. I had a lot of activity too. The funny thing is, my smallest and weakest hives seemed to be the most active and my one big and strong hive hardly had any activity. I have seen similar behavior in the past out of several hives. I have thought about it a lot since back in 2010 when 1005 displayed this behavior. Initially I thought it was because they were declining… or something was wrong, but typically those hives go ahead and overwinter. 1) I have explained it to my wife before that some hives seem to almost “act” as if they are confident they are gonna make it through the winter. “We don’t need to be active, we have good numbers, good reserves, and a laying queen!”. 2) I have observed colonies during winter that are heavily active even when it gets very cold. Many times these are marginal colonies going into winter. 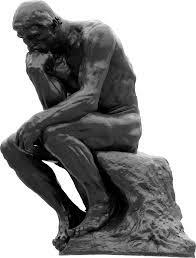 I have thought many times…. they are active because they have to be. Activity out of desperation. 3) The more likely explanation could be just like everything in nature, individual differences will exist between members of any given species. Most beekeepers would agree that different colonies will have different levels of aggression. Those colonies may simply have a different temperature threshold that hasn’t been met yet. Thus they stay home. To make a short story long.. I have seen similar behavior. Don’t write them off just yet. 1) I want to have fun with the bees. Working with bees is an enjoyable escape for me. I find pleasure in watching them work and seeing what they do. There is joy in the discovery, every time I catch a swarm, do a cutout, or open a hive. I love teaching and helping others learn, as well. 2) I want to create a business which makes a profit. I want to be able to provide products from the hive. Under this goal, there are two levels. First, I want to produce a large enough honey crop to supply local need. 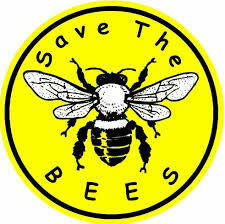 Second, I want to be able to produce quality bees for sale to local bee keepers and beginners. I will have one set of colonies which are managed for honey production, and one set of colonies managed for bee production. 3) My 2016 goal is to get the new hives from last year up to full strength for honey production. That should give me 30 hives for honey production. I hope to get a minimum average harvest of 40# per hive. Additional swarms captured this season will be set aside for bee production. Setting up swarm traps helps me accomplish all of these goals. There is joy in catching a swarm. I am saving lots of money with the free swarm. And I can use a swarm to replace a dead-out or struggling queen in a honey-production hive. Trapping bees is the MOST fun I have during the beekeeping year. It’s like reaching up and grabbing $150 out of thin air. I have struggled to keep up with demand consistently from year to year with honey. Last year I had a VERY wet June and honey production suffered. I had some annoyed customers, but I just had to tell them to get with me in the Spring. Good luck and keep us posted on how you do this year.